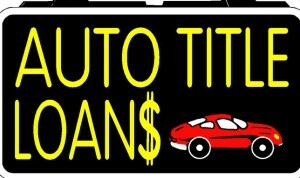 Dangerous and abusive payday lenders, consumer installment lenders, and auto title lenders continue to strip wealth from Illinois communities. According to the Illinois Department of Financial and Professional Regulation (IDFPR), more than 1.1 million consumers took out nearly 7.5 million small consumer loans between February 2006 and December 2015 , or an average of 6.2 loans per consumer. The average annual income of these borrowers was $30,521 per year. Often marketed as a way to weather a financial storm or to make it to the next paycheck, predatory loans trap people in a cycle of debt that can take years to recover from. One of these residents trying to survive the debt trap is Cynthia Cunningham. Cynthia lives in the small town of Tilton, Illinois. She used to work for the U.S. Department of Veterans Affairs, but she is now retired and lives on a fixed income of $1260 a month in Social Security benefits. When she was 60, her husband passed away. A couple of years later she developed a chronic health condition, increasing the cost of her medical expenses. After years of living on a fixed income, she got behind on her health insurance payments, and it was in danger of being cancelled. When she developed a condition that required her to get a heart stent, she needed to pay $900 to ensure that her health insurance was not cancelled, and to allow her to have the procedure. She tried to take out a loan from her bank, but they weren’t offering any small dollar loans. Passing two or three auto title lenders on her drive every day, she decided to take out a title loan to pay for her health insurance. She took out a loan for $895, using the title of an old but cherished car – it was one of the last gifts from her husband before he died. However, the loan has an interest rate of 200%. Over the next two years, she will pay back $152.95 every month. This is a total of $3,670.80 for a $895 loan, equivalent to nearly 3 months of her income. Now, the title loan payment is one of the first bills she pays every month, overstretching an already tight budget. Some weeks, she isn’t able to afford enough food, and friends bring her meals. She is looking forward to paying off the loan in November 2017, and regaining that $150 in her budget every month. You have the chance to take action on rules that would regulate loans like the one Cynthia took out. The Consumer Financial Protection Bureau (CFPB) has proposed rules for payday & auto title loans, which provide important protections for borrowers like Cynthia. The CFPB is accepting comments on these rules – but the deadline is this Friday, October 7, so you’ll need to act now! If you have one minute: Sign your organization on to the IABG Partner letter urging the CFPB to strengthen their rules. If you have another 5 minutes: We encourage you to send your own letter as well. You are welcome to adapt our letter. And if you have another moment to spare: Send a quick note via this online portal telling the CFPB that you support their efforts.